Pinnacle is a financial services firm providing banking, investment, mortgage and insurance services to consumers and businesses. We are intent on being "more than a bank," hiring only seasoned professionals to deliver distinctive service and effective advice. Associates like this Team Pinnacle in South Carolina combine fitness, teamwork and community involvement by participating in fundraising events like the Dragon Boat Festival rowing competition benefitting cancer research and cancer survivors. Associates in Pinnacle's Brentwood, TN, office support their favorite teams on College Colors Day, one of the many days Pinnacle encourages associates to have fun with one another and clients. Pinnacle's annual Make A Difference Day is all about associates choosing something they are passionate about and finding a way to help that cause. These associates in Roanoke, VA, donated supplies to a regional center for animal protection. Associates at Pinnacle's financial center in Murfreesboro, TN, pause for a selfie during their daily walk around the town square. They are working to hit their goal in the firm's 500,000-steps challenge, one of many fitness activities at Pinnacle. Going \"over the wall\" -- scaling a 12-foot flat surface -- can only happen with teamwork. It represents the culmination of three days of orientation with the CEO, something every Pinnacle associate experiences. Pinnacle associates in Chattanooga deck out for Read Across America Day (Dr. Seuss' birthday) -- one of many ways associates make work fun and interesting. 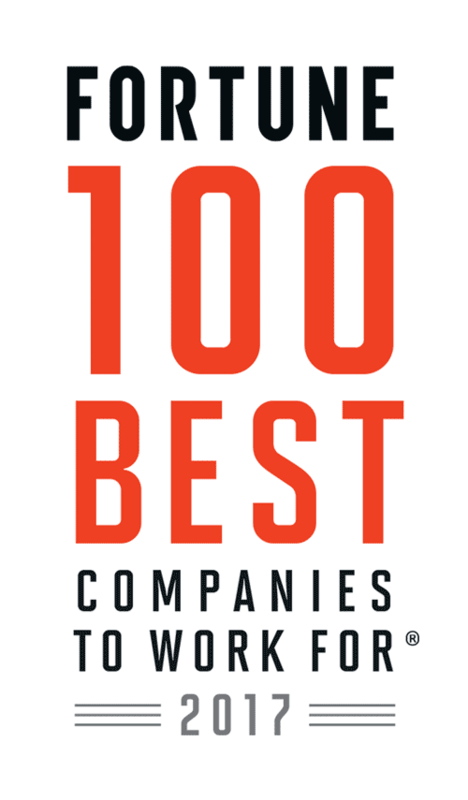 Congratulations to Pinnacle Financial Partners on being named to these Best Workplaces lists!